Legendary Duelists: Sisters of the Rose* introduces brand-new cards inspired by some of Dueling's most daring strategies from the pantheon of Yu-Gi-Oh! manga and anime series. Whether you want to power a single monster up to stratospheric proportions, create an inhospitable field environment that makes monsters wish they'd never been Summoned, or just endlessly duplicate your favorite monster, you'll have something to look forward to this winter! Legendary Duelists: Sisters of the Rose debuts brand-new cards inspired by past heroines of Yu-Gi-Oh! like Mai Valentine and Akiza Izinski. 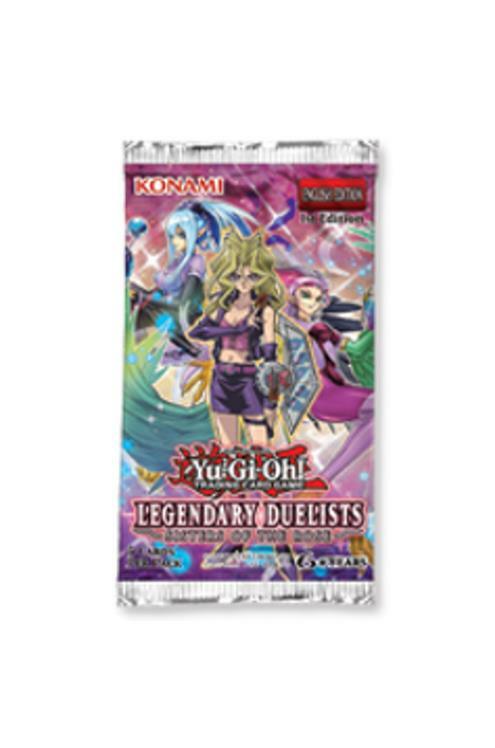 Mai is making her second appearance in the Legendary Duelists series with brand-new cards for her Harpie Lady strategy from the Duelist Kingdom tournament. Mai's strategy was all about duplicating Harpies with Elegant Egotist to Summon Harpie Lady Sisters, and Legendary Duelists: Sisters of the Rose has brand-new cards to help you multiply your Harpies and reward you for playing with the classic Harpie Lady Sisters card! Alexis Rhodes' Cyber Angel strategy from Yu-Gi-Oh! GX returns! Cyber Angels are Ritual Monsters with battle-focused abilities. Legendary Duelists: Sisters of the Rose introduces a new Cyber Angel that forces your opponent to fight your monsters fairly by letting you destroy a card they control if they target a "Cyber Angel" Ritual Monster with a card effect. Once you've made your opponent commit to battle, you can play a brand-new Continuous Spell that makes it impossible for your Cyber Angels to be destroyed in battle and lets you Ritual Summon during the Battle Phase! Akiza's deadly Black Garden Field Spell chokes the Attack Points out of any monster Normal or Special Summoned while it's on the field. Legendary Duelists: Sisters of the Rose allows you to create a devastating strategy built around this Field Spell, Akiza's signature Black Rose Dragon Synchro Monster, and as many powerful Plant-Type monsters as you can get your hands on! All aboard! Get ready to drive the Pain Train straight through your opponent's Life Points with new cards for Anna Kaboom's railway-inspired Xyz Summoning strategy from Yu-Gi-Oh! ZEXAL! 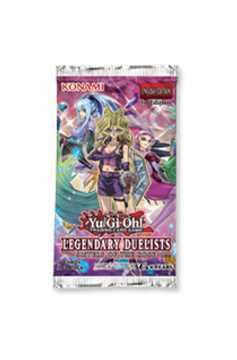 Anna's Xyz Monsters normally top out at Rank 10, but Legendary Duelists: Sisters of the Rose goes to 11 with Superdreadnought Rail Cannon Juggernaut Liebe, a Rank 11 Xyz Monster you can play on top of any of your Rank 10 Machine Xyz Monsters. Its effects let you boost its ATK all the way to 6000 and plow through numerous monsters with multiple attacks in the same Battle Phase, shredding your opponent's Life Points in an instant! All this and more awaits when Legendary Duelists: Sisters of the Rose.